Nightforce riflescopes have carved out an enviable reputation for long range target/varmint and benchrest shooting, but their weight and bulk limited their usefulness for hunting. Now Nightforce is offering a pair of NXS Hunting Compacts with three new reticles tailored for low, medium and high velocity calibres. 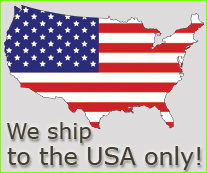 NIGHTFORCE MANUFACTURES THEIR optical sights in Idaho, U.S.A to an uncompromising standard of quality and not to a price. Consequently they are quite expensive, but the Nightforce people make no apologies for this because their stated purpose is to build the best scopes possible for the precision rifleman. Since 1992, Nightforce's big high-range variables have been winning countless benchrest competitions and shown their superiority for long range target shooting. Typical of what I call the "brilliant breed" Nightforce produced big, bulky 30mm scopes - 5.5-22x50, 3.5-15x50, 3.5-15x56 and 8-32x56 - and the giant super high-power 12-42x56. Serious varmint hunters with super-accurate, heavy-barreled rifles to whom weight and bulk were unimportant soon discovered the optical advantages of Nightforce - extremely high magnification coupled to resolution comparable to the highest-quality spotting scopes - and made good use of them. But there was nothing in the range light enough and compact enough to appeal to the hunter who stalked his game on foot - at least not until Nightforce designed a pair of compact NSX models originally designed for - and still in use by the U.S Special Operations community. The Nightforce scope was tested on a big bore range at ranges from 300 to 600 yards. Reticle graduations were found to be precise and the clicks repeatable. Nightforce successfully met the challenge of building a compact high-performance scope that was rugged enough to not only stand up to extreme climatic conditions and weather, but to withstand the repeated recoil of the most powerful magnum rifles. Tests include submersion in 100 ft. of water for 24 horus, freezing in a box cooled to minus 80 degreees F, then heating within an hour to 250 degrees F. Every scope is subjected to being hammered forth and back in a recoil machine that delivers 1,250 Gs, simulating the pounding of magnum rifles. After a scope takes numerous hits, it should be good for thousands of rounds. 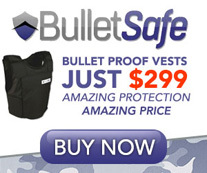 I know of no other brand of scope that undergoes such drastic testing for ruggedness! The 1-4x24 NXS is a dangerous game scope. At 1x the field of view is 100 ft. at 100 yds., which makes it as quick to aim with as open sights because you can shoot with both eyes open - it's just like looking through a picture window. At one time I thought highly of low-power variables (1-4x), but I'm less inclined to favour them now. The magnification range is small, and at 1x I can see a distracting length of barrel. Therefore, I am more inclined to favour the 2.5-10x32 which is just as light in weight and has a low enough profile to mount close to receiver and barrel. ABOVE : Turrets are marked externally as well as internally for direction of impact. Eyepiece focusing uses a fine thread and a lock-ring. The 2.5-10x32 spans 30cm in length but adds a significant 540 grams to your rifle. Like a good many other variables with a top power of 10x, the Nightforce NXS Compact makes no provision for parallax, and the third turret is actually a rheostat which serves to illuminate the reticle. Lighted reticles are all the rage now, and they show up quickly in dim light. They'll also help you distinguish the reticle from a network of branches. The reticle has 9 different settings to increase or decrease the brightness. In dark conditions you dial on less illumination for the reticle to show up. Brilliant sunshine floods out the glow of all but the highest setting. Keep the brightness low, and reduce it as light fades. A glowing reticle can dilate your eye,making the target harder to discern. The halo effect can also compromise precision. While Nightforce's illuminated reticles may appeal because they cover so little of the field. Big thick reticles work just as well for dim-light shooting as electronic reticles, often better. The 30mm main tube is machined from solid bar stock 6061-T6 aircraft grade, durable lightweight bronze alloy finished in matte black. Being two or three times thicker than other riflescopes reduces overall stress and provides greater thermal stability, while providing maximum protection for the precision optics inside. But it also adds weight. Dissimilar alloy in the erector tube assembly guarantees repeatable movement. Every lens is perfectly matched being aligned by hand with all other lens elements. This "optical indexing" yields the highest possible optical performance by focusing light rays more precisely for exceptional image clarity and true colour rendition. All air-to-glass surfaces are given Nightforce's proprietary broadband multi-coating applied to tolerances of 1.4 wave deposition or .000005 inches, which exceeds the toughest Mil-spec abrasion test. Just like a fine Swiss watch, tolerances, materials, and optical design are as close to perfection as humanly possible. Naturally this kind of high-tech manufacture justifies the scope's high cost. The 2.5-10x32 compact is available with two types of adjustments. The test scope had caps which when removed expose windage and elevation knobs easily adjusted with the fingers. Optional exposed tactical-type adjustments with ZeroStop and windage limiter adjustments feature an elevation dial that can be set to return reliably to any of 400 detents in its adjustment range. Or it can be returned to absolute zero by feel, regardless of how many elevation adjustments you have made. ABOVE : The titanium jaws on the ultralite rings are clamped immovably by nuts rather than the usual small screws. Like any progressive firm Nightforce is committed to eliminating the faults that occur in other scopes. One important improvement is the spring that maintains pressure on elevation and windage adjustments. When spring tension isn't strong enough the erector tube doesn't always move assertively if you are turning the screw out. That's why we sometimes have to tap turrets with a screwdriver handle after adjusting, and why some scopes don't register a change in point of impact. Some scopemakers use two or three leaf return springs, but Nightforce eliminated this problem by using a pure titanium spring. This is the only metal in the world that can be repeatedly compressed and held in place, even for years without developing fatigue or memory, guaranteeing a consistent zero and precise repeatability. The titanium spring spends two weeks in a polishing tumbler before being installed In the scope to assure there are no rough spots or burrs that might interfere with perfectly smooth operation. The combination of tight fit and self lubricating crector tube guarantees that zero wont shift as you change magnification. Just .001 inch of slop in the guts of a scope can cause one-inch of bullet displacement at 100yds! Furthermore, Nightforce machines the screw that controls elevation adjustments to an unheard of 110 threads per inch. It is precisely calibrated and mated to its receiver by hand resulting in backlash clearance of less than 1/30 the thickness of a human hair! All of these added refinements add to the cost of the scope, but Nightforce's major concern is with building the best riflescope. Nightforce signature reticles are in the second plane and appear permanently centred in the field of view. The Compacts feature 4-times zoom and .25 MoA clicks. The turrets are marked for direction of impact change on the outside of the saddle as well as top of each turret. The power change ring is heavily knurled and has a thumb rest. The reticle is brought into sharp focus by rotating the eyepiece which has a lock ring. One European feature I'd like to see adopted by Nightforce is a quick focus eyepiece which would make a good scope even better. The old American system has the eyepiece on very fine threads with a lock-ring to hold it in place after focusing. Older eyes would benefit from a little finer tuning, and it takes a fair bit of time and trouble screwing the eyepiece in and out on those super-fine threads.The Euro-system only rotates the rear lens, not the entire rear bell. The rear lens screws in and out on relatively coarse threads, and needs no lock-ring, focusing quickly and easily. This is an advantage, especially if you're over 40. 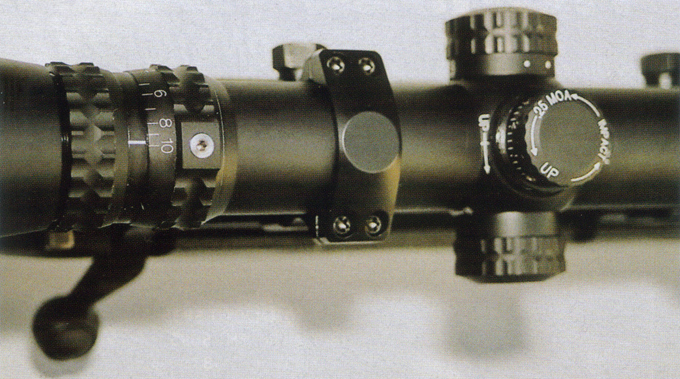 ABOVE : Long eye relief of 95mm makes the compact 2.5-10x32 N XS scope ideal for use on heavy kicking rifles. The NXS Compacts are offered with new Velocity reticles that are claimed to be the answer for the hunter seeking an effective ballistic solution without complicated calculations. Three variations inlcude - NP1 HV which takes in high velocity calibres from the 270 Winchester to the .300 Ultra Mag; the NP1 MV for medium velocity calibres from .243 to .308 with lighter bullets; and NP1 LV for low-velocity rounds from 7x57 to .338 Win. Mag. with heavy bullets. My test scope was equipped with the LV reticle despite my not owning a rifle in the low velocity category to test it with. In desperation I borrowed my esteemed editor's Marlin XL7 in .30-06 and fired it with 180gn bullet at 2700fps to conform with the specs for the LV reticle. Right side view of Nightforce's excellent ultralite scope rings which have titanium crossbolts and jaws. The reticle has two thick side-bars with flat ends and a pointed picket at the bottom with elevation lines of varying widths in the centre. These lines are marked in 100yd. intervals from 100 to 600 yds. (as as well as 50yd. increments between 300 and 600 yds). Not only will it assist in estimating range and maintaining holdover, its hash-marked horizontal lines enable you to correct for 5 mph 90-degree winds. Windage compensation is marked in 5 and 10 mph increments. I'm not keen on complex rangefinding reticles that clutter the field with lines, dots, bars, posts, circles and numbers. A reticle's primary function is to help you aim. All this flotsom and jetsom only impairs aiming. However, Nightforce helps you determine range accurately, so it may be excused for imposing a little clutter in your field. The problem I faced with this reticle was that the horizontal aiming points are so fine that I had trouble distinguishing them in bright sunlight and they simply faded away in twilight, unless I illuminated them. I've already commented about this feature, but practical hunters don't care for the extra weight, bulk and expense of having an extra turret and batterycompartment. I'd like to see this scope made available without such gadgetry. With the complex, second plane reticle these values are valid only at 10x magnification. At any other magnification these values will undergo substantial change. 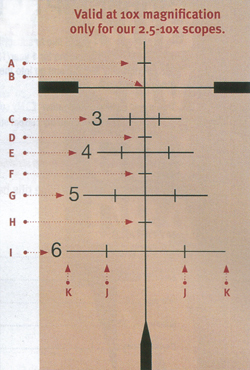 Technical data for the 2.5-10x32 N XS and holdover points in the Nightforce reticle. 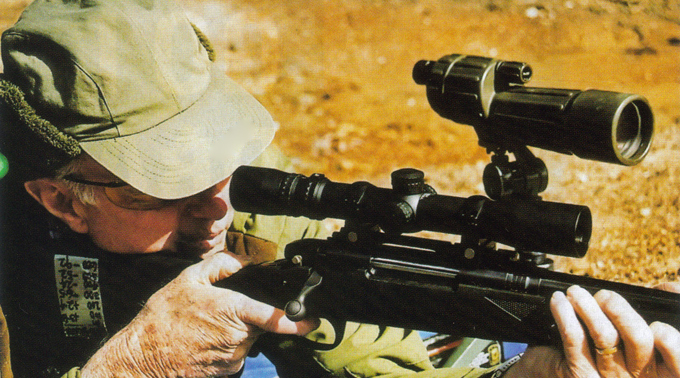 Reticles are etched on flat glass which is generally more durable and suffers less distortion than a wire reticle. It's also easier to illuminate. The problem is that it introduces another drain on light within the scope, which combined with the 32mm objective must affect image brightness. I compared the brightness of the Compact 2.5-10x32 against a 3-9x40 Zeiss Conquest and a 2.5-10x42 Sightron Big Sky from 20 minutes after sunset to full dark and found it slightly less bright compared with the larger objective scopes. This scope is different; unusually, it has a 30mm tube and 32mm objective. Why, when it could have been made trimmer and lighter by using a one-inch tube. Don't think that one-inch scopes aren't as bright as 30mm scopes - they are. The reason why 30mm European scopes have a reputation for brightness has nothing to do with their 30mm tube, but their excellent multi-coated lenses. If you doubt this, then compare a one-inch Zeiss or Swarovski with a 30mm scope of the same make. You won't be able to tell any difference, unless the objective lenses are larger creating larger exit pupils. A larger objective lens does make a scope brighter but normally only at magnifications above 6x - and not by all that much. And 30mm tubes are only an advantage on tactical scopes which must be adjustable to 1000 yds. That's why they have 30mm tubes and erector assemblies no bigger than those in standard one-inch tubes offering more latitude of adjustment. The 2.5-10x32 NXS has a 3.2mm exit pupil on 10x whereas a 10x with a 42mm objective rates a 4.2mm exit pupil. But good glass and multi-coated lenses make more difference in scope brightness than a larger objective lens. Thus the 2.5-10x32 is brighter than many cheaper scopes having 40 and 50mm objectives. The point I'm trying to make is that having the brightest optics takes second place to other positives in a hunting scope. 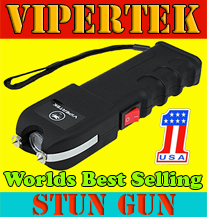 The laser rangefinder made accurate big-game shooting out to 500 metres possible. 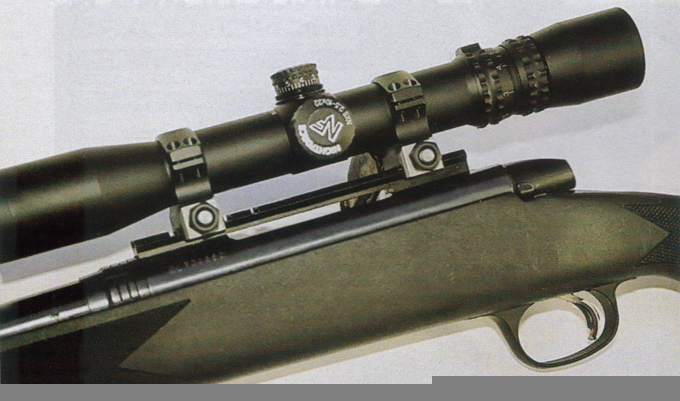 It also provided the kind of stimulus necessary for scopemakers like Nightforce to develop multipoint scope reticles. All the hunter has to do is measure the range with his rangefinder and then aim using the hash mark on the reticle that corresponds to the measured distance. An oft-heard criticism to reticle range estimation is that game doesn't stand around to be measured. Well, if a deer is far enough away to need accurate range estimation, it usually isn't aware of the hunter. Going on tests I carried out on a full-bore range out to 600 yds., if you use a laser rangefinder to measure the exact range, and then aim using the correct horizontal hash mark, you'll stand a good chance of hitting game out to 600yds. And I think that's about twice as far as the average sportsman should be shooting at game. The scope was attached to a Marlin XL7 in .30-06 using the firm's Ultralite rings. These are special being CNC machined from 7075-T6 alloy and held on with titanium beta series crossbolts and jaws. After the rifle was sighted in and zeroed at 200 yd.,I took it to the big bore range for testing out to 600 yd. The scope's adjustments were very tight but the clicks were distinct enough and more importantly shifted the point of impact the correct distance and returned to zero. Engaging targets set up at 300,400, 500 and 600yd., using the LV reticle my handloads with 58gn of AR2209 driving the Sierra 180gn SPBT Gameking at a neat 2700fps, revealed that the LV reticle did in fact provide accurate aiming points out to 600yd; the margin ensured a bullet in the chest area of a deer at all ranges. This very clearly shows the necessity of matching the reticle in your Nightforce scope to the ammo - bullet weight and muzzle velocity. Laser rangefinders solve the problem of estimating distance, but even a gentle crosswind will drift your bullet off course, and then there's the basic reality that in most hunting situations you don't get a rock steady aim. 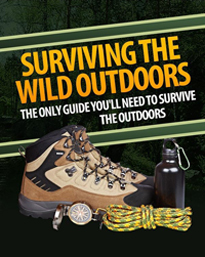 The only thing you can be sure of is that if you can't get out of taking a shot at 500 metres, or even beyond, there are rifles and scopes that are up to the task - if you are. Without being too critical of what I found to be an excellent optical instrument, it's too heavy for mounting on a mountain rifle. Big country calls for powerful, but lightweight scopes. Extra weight means extra inertia when the rifle recoils, so that hard-kicking rifles are more apt to tear a heavy scope free of the rings or the bases free of their moorings. 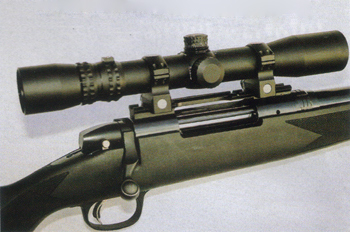 Maybe Nightforce relied too much on their benchrest heritage when designing a hunting scope. They could have made it lighter and offered more practical choices without the third turret, and offered it with Euro-focus, traditional reticle choices, a one- inch tube and 42mm objective. Having said that, while the Nightforce 2.5-10x NXS may outperform many larger scopes it's priced alongside such prestigious brands as Zeiss, Schmidt & Bender and Swarovski, who with their long tradition and reputation for making superior hunting scopes offer some tough competition.